Your business data backup strategy is a crucial piece of your business continuity plan. Without a proper backup solution, your business remains vulnerable to natural disaster, hardware failure, viruses, ransomware, and much more. The average cost of a data breach is in the millions of dollars. While many aspects differentiate a suitable software from a great one, pay the closest attention five key elements of the best business data backup solutions. Automated backups remove human error. You never need to worry that someone forgot to backup their data. Setting a computerized schedule ensures consistency. You choose the frequency. This means you obtain updated files as often as necessary, including as users create them. Backups done too infrequently create unnecessary data holes. Some automated systems let you set up version control so that you can access all versions of a file, not just the most recent. The software updates the backup as soon as a user makes a change. Automation ensures every server gets backed up, not just the main one. Rarely used, but needed, servers don’t fall victim to a swamped or forgetful technician. Online backup storage and automated backup don’t mean the same thing. Many online storage platforms rely on manual backup. The backup software needs to work every time, infallibly. A reliable software or service guarantees secure backups. The chosen software solution must work on every operating system or server your company owns. When you upgrade to a new operating system, the software needs to continue working reliably. The software or service should provide redundant backups. Having more than one complete copy of your data in different locations makes good business sense. The software or service should offer 24/7 support. If a question or problem arises you need to immediately address, the backup company should answer the call, even at odd times of day or night. A reliable backup system includes a complete backup. 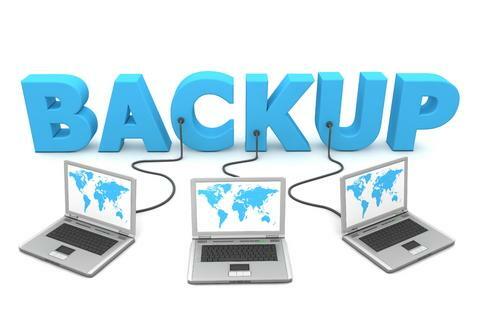 The backup should also cover emails plus company data on mobile devices, as well as other storage. This includes cloud storage, laptops, memory sticks, smart phones, tablets. Test the system’s reliability. First, backup your data. Second, access the backup. Third, restore the data. How simple was the process? Did it work? An easy to use backup solution means everyone can use the software or service without asking for help. If your secretary can’t restore a lost letter alone, you bought the wrong program. Easy to use software frees the time of the information technology department. Every staff member should know how to manually backup their machine or a single file, if needed. They should also know how to restore a lost or corrupted file. Look for programs that use a familiar interface. Many base themselves on the traditional Microsoft Windows Explorer since so many users know it well. A recognizable GUI can help users as they learn how to use the software. Leverage trial periods to test ease of use. Let users known for needing the most technical assistance try out each platform. When you find a program these users find easy to use, you have a winner. The simplest solution may seem a software that conducts a local backup. While simple, it can also cost you. A common occurrence like a fire or flood could destroy your local backup. A remote/offsite backup solution negates this problem. Using a managed service, aka Software as a Service (SaaS), you pay for the space you need, plus the automated backup. As your business grows, you can scale your subscription, too. Most companies allow plan changes with no fee or penalty. The offsite service should utilize the strongest security methods. This means meeting HIPAA requirements, SOX/accounting security requirements, plus offering SSL security with at least 128-bit AES encryption. Failures of any type should trigger email alerts. This provides immediate opportunity to rectify the issue whether a failed piece of equipment or an unreachable server. System accessibility ties in with the ease of use. If you use an outside firm to handle technology functions, including backups, does the company provide you access to the backup system used? You should have access to log files or the backup confirmations. If you or an internal department handles backups, ensure the platform chosen provides simple, direct access to files. You should not have to contact the company for assistance to restore the backup. Once backed up, make an image of your backup. You’ll have immediate access to your image file, even if the backup service gets hacked. Your recovery time depends on the amount of data you need to restore. You may need only minutes or two days to restore all data, depending on how much you lost. Your software or service should allow you to start restoration immediately though. Your Internet speed affects restoration speed from an offsite or remote backup storage. Slow data speeds can hamper your accessibility. A high-quality backup solution works a lot like insurance for your business. A backup solution protects your applications, data, emails, operating system, and more by ensuring you can restore it all in a few mouse clicks.